Ubisoft’s community content team helps the gaming company’s community developers and managers by creating polished content, inspired by and sometimes derived from the community. 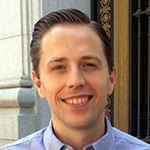 Zack Cooper is community content lead at Ubisoft, working with their community teams around the world to help tell great stories. He started at Ubisoft Toronto in March of 2012, fresh off the birth of his first daughter, following an 11-year career in radio broadcasting. Zack was a reporter, talk show host, and sports anchor, while hosting a video game show on the side. He appreciates quality and creative storytelling and has a passion for music, both of which help maintain sanity amid all the stresses of everyday life. [00:00:24] Patrick O’Keefe: Hello and thank you for joining me for this episode of Community Signal with Zack Cooper, Community Content Lead at gaming company Ubisoft, known for titles like Assasin’s Creed, Far Cry, and Just Dance. 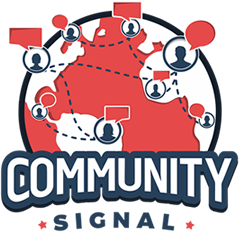 Does Community Signal add value to your work? If so, please consider supporting this show on Patreon at communitysignal.com/innercircle. Thank you to Luke Zimmer, Maggie McGary and Serena Snoad for being among our Patreon patrons. Zack Cooper is the Community Content Lead at Ubisoft, working with their community teams around the world to help tell great stories. 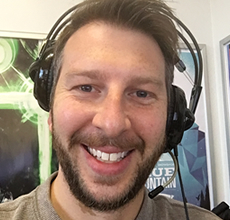 He started at Ubisoft Toronto in March of 2012, fresh off the birth of his first daughter, following in an 11-year career in radio broadcasting. Zack was a reporter, talk show host, and sports anchor while hosting a video game show on the side. He appreciates quality and great at storytelling, he has a passion for music, both of which help maintain sanity amid all the stresses of everyday life. Zack, welcome to the show. [00:01:22] Zack Cooper: Thank you so much for having me. [00:01:24] Patrick O’Keefe: It is a pleasure to have you. Tell me about the community content team and the work that you do. [00:01:30] Zack Cooper: Alright, sure. The community content team started, I want to say about four years ago with myself and a wonderful graphic designer in San Francisco, which is our North American base of operations as far as our operational and business teams go. The goal is to just basically help our community teams tell interesting stories in a visual medium and obviously with graphic designer in tow that was largely focused on social media and whatnot. The game has changed and thankfully our team has evolved incredibly to the point where we still have Aaron, our man in SF, as well as representation in a few of our other studios. In Montreal I’ve two guys and then I’ve got another guy in Paris and the hope is that we just keep expanding, keep telling stories of the community and our devs and the production process. Really, the hope is to bring people in and also lay the groundwork to let the community do their own thing as well. [00:02:30] Patrick O’Keefe: You mentioned having people at different studios- like I’m a remote worker, for example, in my day job, so I work and this company has a main office in Boston. I’m out in LA right now but I live in North Carolina, we have people in San Diego and Atlanta and all these different places. What is it about having someone in the local office that- I guess, is such a big benefit to you in this content development team standpoint? [00:02:53] Zack Cooper: Well, particularly as it pertains to video production, it’s incredibly important because we want to make sure…as we’re wanting to ensure that the quality of stuff that we put out is the highest. Making sure that we’re around to do shoots, to frame them properly, to light them properly, to ensure the audio’s crisp. That’s critical and needs to be a super pro and that’s why we want to have as much representation in studios as much as possible. We’re, again, expanding and ultimately, we’re traveling a lot because Ubisoft has a lot of studios around the world and a lot of community teams and we want to make sure that we’re casting as wide as possible. The goal is to open up these opportunities for content creation that ideally come at no cost other than the salaries of the wonderful workers. [00:03:41] Patrick O’Keefe: Gabe Graziani, a Senior Community Developer at Ubisoft, was a previous guest of the show and I spoke to him a little bit about you and beyond kind words and he said your voice was amazing. [00:03:53]Patrick O’Keefe: Beyond that, the reason I bring him up is because he’s a Senior Community Dev, you were a Lead Community Dev at Ubisoft Toronto for years. So you have a great perspective of that work and what gets done in that role, and of course, you’re now over in content development. Where does that work end? Where does their work end on a community development side to be more community facing role and your’s begin? [00:04:17] Zack Cooper: Great question. I think the answer is just it’s very collaborative. Gabe is a man that I admire and respect and I remember when I was crafting my demo to join Ubisoft, it was largely based on the stuff that he had put out. I’ve been a Community Developer for a little while, helped launch Splinter Cell: Blacklist and then it seemed that an opportunity opened up for me to specialize a little bit more and to work with basically, all of our community teams to help figure out what kinds of stories we want to share and then figure out how we do that. To be perfectly honest, I’m more so a glorified program manager at this point with my wonderful team spread out and able to execute on the ground and mapping out a plan to figure out how we can best turn around everything that comes our way. Often, I’ll meet with the specific community teams. We’ll meet depending on where the brand is and its life cycle on a weekly basis, sometimes it’s a little bit less frequent. We’ll figure out what their map’s looking like as well for their own content calendar and what’s coming up, what’s around the corner. We’ll figure out how we can best tackle that and tell the best stories and ensure that we’re including all the right people to share those messages. We’re finding a lot more of that comes in the form of live streaming which is obviously pretty huge. It’s been huge for a while. We’re staffing up in a better place. We have a lot more expertise now and a lot more comfort. The answer is, it’s more so we’re working with them to help them tell their stories. I guess that’s where the line would be drawn if there is one, but we’re partners. That’s how it works, I guess. [00:05:55] Patrick O’Keefe: Now, coming from that role, you didn’t have a ‘you’, right? When you were in that role like this team didn’t exist yet. If there were just several Zacks, well, maybe not the right way to put it. Looking at it from that community manager role, having an in-house content production department, that aids and serves that department, from their perspective, from that end, what do you think are the big benefits? [00:06:18] Zack Cooper: Well, quality is a huge benefit. Honestly, I look back at some of the stuff that I did. I’m really proud of the content that I put out, and again, the stories and the conversations that we crafted and manifested with the community, but it’s really not very good from a production quality standpoint. I remember I’d be shooting on a Handycam and a tripod. It was effective in a sense where we were creating and fostering dialogue. Now, again, the skills and abilities of the team that we’ve built has just led to it looking pro. I think it’s not necessarily a necessity, but it definitely is a benefit. Ubisoft is a pretty big entity in the world of gaming. It’s a pretty huge industry that oftentimes feels small, of course. I think it’s important that we put our best foot forward and ensure that what we do put out looks and sounds like something you’d want to look at or listen to. That’s the goal of my team to not only make it something that is [chuckles] tolerable, but try and push that and make it something that people want to seek out and find and certainly get more of. [00:07:26] Patrick O’Keefe: Right, because with smaller gaming companies, especially there is, not to say that startup hustler mentality is bad or good, but a lot of things falling under a single hat. We see this in community management a lot. A lot of people that have the titles as community manager get forced to write the blog or be an editor of text content or to produce the video or the weekly video or the daily video or to produce the podcast or whatever it is. The fact is community management is a role, and content development is a role. My girlfriend is a film producer. She has a crew of people. There’s this guy who does the camera. This person is in production. This person is in posts. They have very specialized skills because they’re excellent at what they do. I think part of the value of this is saying that “Okay, the work that you were doing before or maybe you had to take a little bit of video and audio stuff, too and the work they gave does”. This is a real role here. That’s defined. That requires specific skills. That requires the time it takes to do that like a full-time week without having, say, 10 hours of video production, wedged in there, if you can avoid that. It also says that the work that you do, obviously, content production, whether that’s video, audio, text, photography, whatever, there are specialized skill sets that exist there. If you’re going to be the best at those things, you need people dedicated to those things rather than just trying to wedge it into someone else’s already full calendar. [00:08:51] Zack Cooper: Yes, that’s exactly it. Anyone who works in a community can speak to the diversified workload. We want to make sure that the people who are in front of the camera, who are guiding the conversation, that they have as much time as they need to do some of their core deliverables. We’ll handle all the technical stuff to ensure that the community gets served in the way that is best because frankly the skill sets required to do the “community work,” it can be at least quite different from that of a video producer or a graphic designer. [00:09:22] Patrick O’Keefe: [laughs] Definitely. Let’s pause for a moment to talk about our great sponsor, Open Social. Gabe mentioned to me, directly related to this point, a huge thing that you create and your team creates is the breathing room for community developers to come up with unique campaign strategies without having to be the one to create each individual piece of content for those strategies from scratch. I’d love to hear an example of that. [00:10:23] Patrick O’Keefe: Well, I think what was interesting to me is what I took away from that is if you work in a community and you say, “Okay, I have this idea. This idea requires content from X.” It could be internal. It could be the community. But because you exist, they don’t have to get all of the content or develop all the content themselves. I’m sure you get ideas all the time from community devs that lead to successful campaigns. I was just curious in that vein if there was one that came to mind for you that was particularly interesting or useful or successful or memorable for some reason. [00:10:56] Zack Cooper: Well, I think a lot of what all of our communities try to do is ensure that they’re giving a platform for the community to do its own thing and to represent themselves. I think a great example of that is seeing fan artists or cosplayers. The incredible work, the dedication, the passion, that they put into that work as well. We want to sometimes just create a platform for them to showcase it to perhaps a wider audience. I think one of the more evergreen examples of helping them put together this platform, so to speak, is when we’ll compile some of the artists’ work and do a greatest hits, whether it’d be in an animated video that will go on social media that highlights and attributes the artists. I think that’s probably the most frequent example that we see. Other times, it’s just ensuring that we hit those community workshops, where a lot of the times will see within Ubisoft, our brands have these programs that are designated to bring in some of the more dedicated community members. We’ll bring them into a studio and we’ll sit them down and we’ll sit devs in front of them and share really deep design documents, so to speak. They’ll give some insight into the development process and the direction that we’re going. A lot of the times, we’ll want to chronicle this stuff, not necessarily for external audiences but to share with the devs beyond it. We’ll get a sense of compiling this feedback and sharing it with the team showing how the community is really responding to it. I think that’s an important beat as well because when we look at our work, the community team doesn’t just serve the external community, they also work with the development team and ensuring that they know what’s going on within the community is of the utmost importance. Sharing some of that stuff is key. We’ll have these planning sessions with the community developers, with the community managers, to get a sense of what their objective is, what they’re going to be sharing with the community, and then we’ll figure out how best we can share that potentially, externally, as well as internally. I don’t know if that answers the question, I apologize. [00:13:00] Patrick O’Keefe: The point that I think that was referencing was it frees up the community devs in a sense to come up with unique ideas that you can then execute upon that come from the community, which I think is a really interesting point, it speaks to the specialization of the roles. Not even specialization, but just the recognition of the fact that these are real roles and they require dedication from real people. When you have that potential there to say, “Okay, this is an idea I have for a campaign that relies on content.” Whether from the community or X or whatever, it needs to be produced that content. I don’t have to make all of it myself because I have you. That’s a great resource that-not just community I’m sure, Ubisoft other departments as a whole, but our show is community. That community can tap into to execute upon ideas that require content without having to actually do all of the legwork themselves. [00:13:50] Zack Cooper: Yes, that’s definitely our goal. I hope we touched upon that a little bit earlier, probably served it better than that last response. It got a little more anecdotal and long-winded. [00:13:59] Patrick O’Keefe: Anecdotes are good. Another that’s interesting that was actually said to me unique when I talk to Gabe was he had this really strong passion for the rights of fan art. You just touched on fan art and it reminded me of that. Some companies, not even gaming, but some jewelry companies, clothing companies, sunglasses, apparel, whatever, take, it’s not even a fan art, but fan pictures, customer pictures, they take those things for granted sometimes. They use them in a way that maybe is a little presumptive when it comes to the rights of the photographer or the creator or the gamer or whatever. I’m just curious to hear your perspective on, not Ubisoft even, but just gaming industry content and how companies use fan content and the importance – Or how you see it as the importance of respecting the rights of the creators as there’s so much gaming content these days. When I was coming up, obviously forums have always been huge for gaming and there was tons of fan art and mods and all these things. Now, you have streaming and you mentioned esports and all these things. There’s just so much fan art and fan work and fan creations coming out every single second that brands can sometimes be tempted the co-opt into their own creations. A roundabout question but just a topic out there, fan art, fan rights, and how you interact with them as a brand. [00:15:14] Zack Cooper: Well, first of all, I think I am absolutely in love with community creations as a whole. I think it’s important that, again, when we look at what we do as a community team, we try to create an environment that allows people to share. Whether that’s the written word on a forum or Reddit post, tweets, whatever it may be. I think art is such a wonderful form of expression. We see that in fan art. We see that in cosplay. Again, the passion and dedication, the hours that people pour into this stuff, I think it’s on us to ensure that people can see this stuff. Take Assassin’s Creed for example. We know that that is a huge robust community filled with so many creative people. The channels that exist for Assassin’s Creed, the social channels, they’re quite large. If we can prop up an artist and showcase some of their work, provide them with a wider range of eyeballs, I think that’s a great thing. I think the method that we use to do that has to obviously be pure. We need to ensure that we are giving the proper credit, showing the proper amount of love because it is very much a two-way street. I would like to think that all of the cosplayers and fan artists, particularly the ones that we’ve worked with directly, they know how much we love and appreciate and admire their work. I, certainly, do my best to, A, look for the good stuff out there, B, show love and just compliment them when it’s obviously deserving and most of the time it absolutely is. I see some stuff that is absolutely incredible out there. See, it’s just about closing the loop and, again, ensuring that we can showcase their stuff and provide them with an opportunity to get more love as well from the rest of the community and so we’ll often do what we can to package some of this stuff together again, crediting the artists, ensuring that they’re comfortable with us sharing and going from there. Oftentimes, it creates some incredible relationships from within the community as well. [00:17:15] Patrick O’Keefe: Passionate relationships. When I Googled your name, there’s a forum thread on the Ubisoft forums. It said that “I hope Zack Cooper is our Splinter Cell 7 community developer.” There’s this topic about basically how great you are. I have this thing, an article I’ve read years ago that I think about sometimes where– Because people often call it community managers rockstars, it’s just a funny phrasing. I always try to say like, we’re not really rock stars. We are more stage managers. We do a lot of things behind the scenes that keep things going. In gaming especially, I think there is- because of just the environment of how the communities are that the community managers are the brand to a lot of the people in the community. They’re essentially the face of the brand in a lot of ways. There can be maybe more than other industry, a rockstar mentality, where people associate you closely with the game. You’re the person they talk to. They know you. You’re essentially the rockstar for the community. What do you think about that? Maybe in gaming especially this more likely urge to make that public face, a celebrity. Not from the brand side but from the community side, they treat that person as such. Is there something to riff on there? What do you think about that? [00:18:24] Zack Cooper: I think it’s sensitive, to be perfectly honest. I think the mission is always to ensure that the development process is humanized, that people understand that these games aren’t made in a vacuum by robots, that it is real people. Often, lots of them working very hard. Someone who is intended to serve as a liaison between the community and the development team, I think is important. Again, it’s sensitive because, at one point, it can be a relationship that exists that is filled with admiration and sometimes adoration as well. It can go the other way when things go awry. I think a lot of people can sometimes refer to a community team folk as meat shields. While it is sensitive, I think we’re in a better place now. We, as Ubisoft, A, it’s often not just one person. We have support structures in place to ensure that, A, we can cover the raw amount of information flow because now it’s so much more than when I was a community developer, five, six, years ago. Then, B, to handle a lot of that front-facing communication. When you talk about the rockstar stuff, I look at our guys the, Rain Bros, Justin and Craig, and those guys are phenomenal. Basically, they have fantastic relationships with the development team, which is crucial to ensure that they get the quality and sufficient information to serve the community. Then, on the other end, they are so present that the community knows that when they’re speaking, they are being listened to. It’s propped them up into the spotlight which is great, as long as the people in the spotlight know how to handle being in the spotlight. Those guys definitely do and kudos to them, I talk to them on a regular basis, I know they’re in Montreal, I’m in Toronto and I give them nothing but love because they deal with a lot that- the size of that community, the size of the passionate members of the community is huge. Frankly, I’m not sure we’ve had to deal with anything to that extent before. They do it so well and they keep their cool. You can see, based on how well that game is doing, I think a lot of that is due in part between that relationship that exists between the community and the community team and the developers. It’s very nice flow and so that, I think, it is an example of a great relationship and a great [chuckles] rockstar mentality handled with grace. I think we’ve seen several times in the industry that it hasn’t always gone so well. [00:20:53] Patrick O’Keefe: That’s a great point because if you’re in that role and you do have all that attention, it sometimes can feel good but there’s also this tremendous pressure that comes from that. [chuckles] Just anytime something goes wrong– Yes, there are definitely plenty of stories in gaming. One last thing I wanted to mention in reference to Gabe because he’s been there for a long time, as you referenced as the star of the show. Something that he said to me that I found really interesting about the genesis of your team, and how it has continued to grow. He said that you receive a lot of requests and you have this great ability to juggle them all. Being able to juggle those requests has led to the growth of your department. I just wanted to get a sense of the diversity of the requests that you field, the types of things that you’re asked for and how being flexible to those requests has allowed you to demonstrate the value of your team, and then, of course, earn more resources. [00:21:41]Zack Cooper: Yes, all kudos to my team who make it a lot easier to juggle, for sure. We get lots of requests, a lot of it is video production, some of it is editing, a lot more of it is live streaming, we see infographics. The content types, I think they’re definitely somewhat diverse, but it’s, I think, just the volume because we have so many different brands within Ubisoft that communicate on an ongoing and constant basis with their community. Volume is sometimes the trickier part, and that’s what leads to the juggling act. I think we’ve put in some processes that ideally help manage the flow. That’s my goal, anyway, and sometimes things come in pretty hot, we have to turn them around quickly. Again, I have to give all the credit to my team who work wonders, turning around incredibly, creative, and beautiful stuff very quickly. They make it a lot easier, for sure. [00:22:37]Patrick O’Keefe: Let’s talk about those processes just a little. When you say community content team, I think a lot of people listening to the show will think of that as content that comes from that community. I think it’s obvious I’m talking to you that you’re obviously producing original content as well. I guess, first of all, that’s just me talking, is that accurate? Are you getting some– Or there’s some people in the community you’re saying, “Well, we should develop something with this person,” so you’re the polish on that to make sure that you produce a high-quality piece of content that revolves around something that came from the community? Then, of course, you have original programming as well? [00:23:07]Zack Cooper: Yes, it’s definitely both. Recent examples, some fan art that the For Honor team has been, obviously, keeping track of what’s going on on their community, and they’ve said, “Hey, you know, we’ve recently gotten an influx of incredible community creations. We would love to turn this around.” I work with my team, we get those assets from the community developers and we figure out a nice way to package it, in a way that is friendly for social consumption. In this instance, it’s a square format with a little banner that includes the artist’s name as well as a soft call to action which asks people to share their community creations with the hashtag #FHFanArt. We’ll often work with the community developers to figure out what their key messages are and how we want to package that. I would say the greater extent of what we do is original content. Often times, that still includes community members. If we’re doing a big live stream in particular, sometimes we’ll try to find ways to get key community members to the studio or producing the streams so they can either host or drive certain segments. We’ve certainly done that with cosplayers to show some work in progress, share some live tutorials with viewers as well. There are definitely a lot of opportunities, and we just try to find ways to work with our community teams to ensure that what we’re doing is fresh, exciting, and interesting to their audiences, their communities. [00:24:26] Patrick O’Keefe: What are some of your favorite stories of creative work that has come from your communities that you’ve been interacting with in some way, or your both in the campaign or take it to another level? [00:24:35] Zack Cooper: There’s definitely a lot of them. I would actually point to a project that we didn’t drive but we certainly helped influence and it was an Assassin’s Creed documentary that was put out in the fall. I want to say September of 2017. It’s called Into the Creed. It basically was an initiative from the Assassin’s Creed community team. They wanted to showcase some of, again, the most passionate community members from various walks of life, it really was a global stretch with tons of fantastic representation. [00:26:11] Patrick O’Keefe: You’re welcome to use the second example, but I get it. When I think about things that I’m most proud of in my community, it’s like numbers are cool. Numbers help us keep our jobs, [chuckles] to some extent. I have a community I managed for 17 years, what do we do, will we celebrate at certain milestones, someone was like, “I was deployed overseas, and I checked this forum every morning and it kept me going.” That’s the kind of stuff that is the real stuff that actually makes us happy to sort through the rest, that filters into our job. [00:26:39] Zack Cooper: There’s another one, a really recent project. Again, we didn’t really have our hands in it and all. In fact, it was entirely run by the community and it was a Rocksmith initiative. On Twitter, he goes by the name of Elison CRZ or Zee for our American listeners, essentially what he did was- his being playing Rocksmith for a while I gather. He did this initiative where he put out a call to other Rocksmith community members to play Oasis’, Don’t Look Back in Anger, as a testament to what the title of the song speaks too, which is what was a pretty rough 2017 and looking forward with a bit more of an optimistic mindset. It’s all these people who were playing the song through the game, and he does this mashup, which I don’t know how many people were featured, but it’s full-length songs, it was about five, six minutes or so. I want to say that there are probably about 20 to 25 people in there and it’s a true labor of love and the coordination that goes into something like that and putting it together and sharing it. I reached out and I was just like, “This is so beautiful. Thumbs up, man.” I love seeing stuff like that. I think as much as this hurts the call for my team to continue to grow, my favorite stuff is usually stuff that comes from the community. [00:27:56] Patrick O’Keefe: That makes sense. You don’t want to get too high on your own supply. [00:28:01] Zack Cooper: Yes, to quote Biggie, yes. [00:28:03] Patrick O’Keefe: I’m in LA, so I smell a lot of stuff walking through the hallways of the apartment buildings, and things around here. That’s definitely true. My grandfather also had a saying he liked to throw around a lot which was, “Self-praise stinks” so I can appreciate that. We’ll include links to the doc and to that other project in the channels as well. Looking at this model of the community content team and the community team, do you think that this is a model that is maybe fairly unique to gaming, perhaps? Or do you think that the benefit of having it in-house content production department is so great to a community department that other industries should be taking note? [00:28:44] Zack Cooper: I think it’s definitely great to go in-house. It speaks to flexibility and affordability, really. It allows us to ensure that our productions are indeed completed with the passion that we hope to get from the community as well. Because the team that I lead is filled with people who also play and love games, so they’re familiar with what it is that we are doing. What that does is it ensures that whenever we’re putting something together, we’re also able to look at it through the lens of the player, figuring out what questions they would ask if we haven’t already solicited questions from them in this particular asset. I think it allows us to iterate a little bit more freely. When you go external, obviously, you’re paying per version and this allows us to not worry about any of that stuff. Ultimately, it’s a matter of ensuring that we have great quality and we’re not hemmed stringing our community teams with bills. If they want to produce a lot of content and they are going external, that stuff’s super expensive. That puts an inherent limitation on, not only the number of stories we can tell but also which stories we can tell, because you need to be that much more critical in analyzing and assessing what could go out. That’s why we’re trying to ensure that in- as many of our studio as we can, we have representation to allow us to shoot quickly and iterate often and ensure that whatever does go out as if super professional quality. [00:30:18] Patrick O’Keefe: Zack, thank you so much for being on the show. I really enjoyed talking with you and I appreciate you sharing all of this with us. [00:30:23] Zack Cooper: It was my pleasure. Thanks for having me. [00:30:25] Patrick O’Keefe: We have been talking with Zack Cooper, Community Content Lead at Ubisoft. Follow him on Twitter at z_cooperstown. For the transcript from this episode plus highlights and links that we mentioned, please visit communitysignal.com. Thank you to Gabe Graziani for your input into this episode. Community Signal is produced by Karn Broad. See you next time.